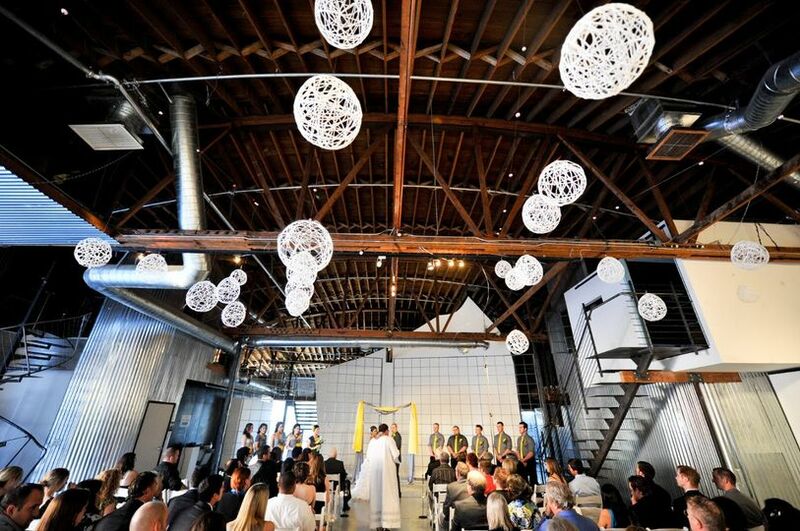 MonOrchid is a modern wedding venue located in Phoenix, Arizona. 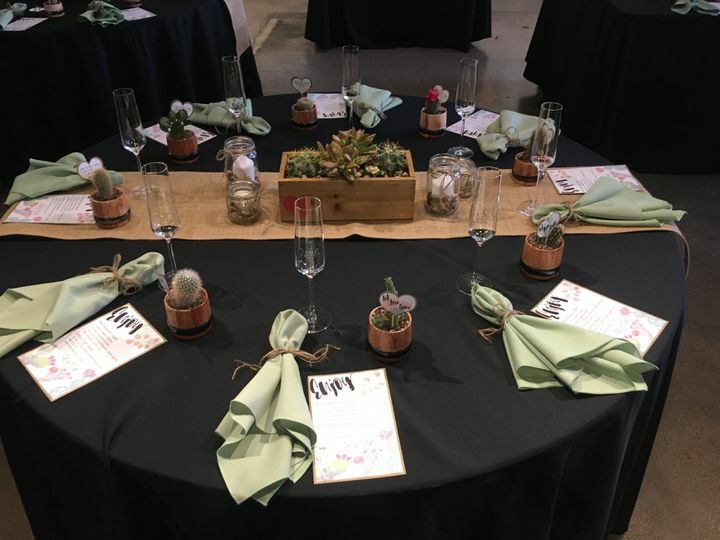 As one of the most diverse and accommodating buildings in Arizona, it's perfect for hosting a unique wedding. It is known for its versatile space and open floor plan, as an upscale warehouse. 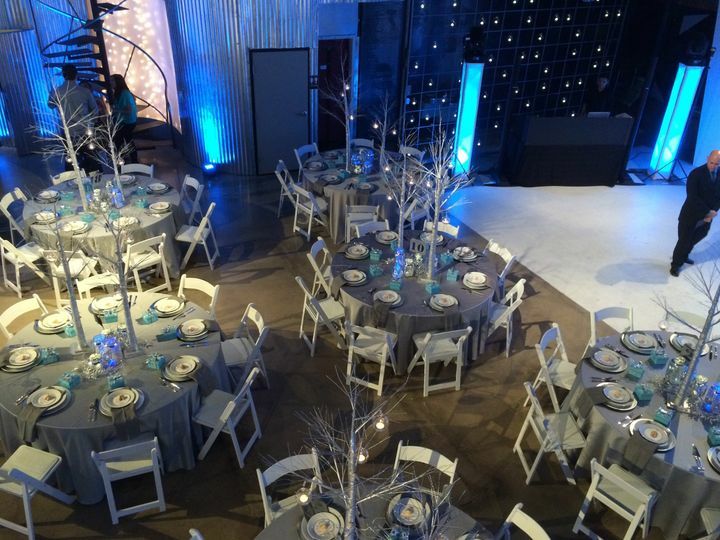 No matter what your event is, MonOrchid can be converted to whatever your heart desires. They have a variety of rental items and accessories to accommodate your unique vision. They can include track lighting in the rafters, rolling gallery walls, venue gates, and photo cycloramas. The dedicated staff of this venue is devoted to providing a convenient and stress-free experience for its guests. They also have their own in-house catering and an on-site restaurant. They are proud to brand themselves a blank canvas. 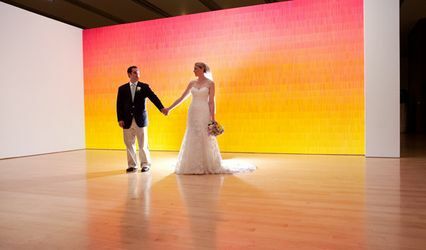 The versatility in their venue is ideal for making a wedding that is uniquely yours. They offer rental options for single rooms, the entire building, or a combination of both. Along with their indoor space, they also offer their spacious native garden which is complemented by a mural. A bridal suite is also available. MonOrchid sits near the Roosevelt Growhouse and the University Medical Center. 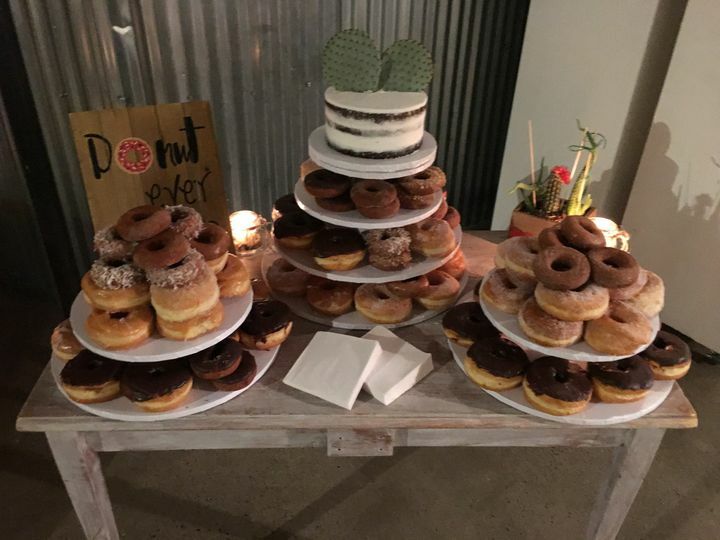 The venue services guests in the Phoenix area. My husband and I were married in Massachusetts, but wanted to celebrate with our friends in Phoenix as well. 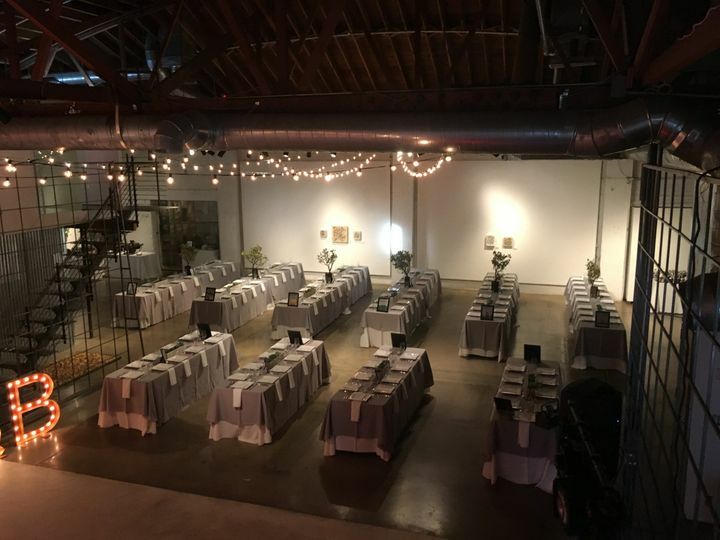 While searching for a venue, I found MonOrchid on Yelp and assumed they were way beyond my price range (I had visited once during First Fridays and LOVED the space.) I emailed for pricing information and quickly heard back from Stefanie with details. 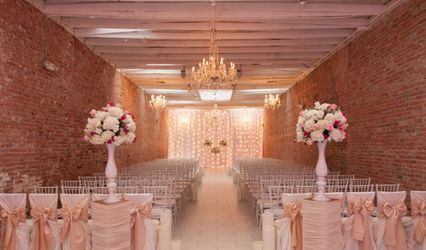 I was surprised that MonOrchid was a few hundred to a few thousand dollars cheaper than other downtown Phoenix venues. 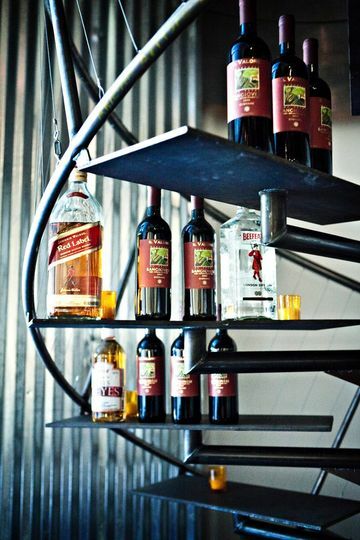 Stefanie told me that we could use our own caterers and alcohol, as long as we hired a professional bartender. If you've hosted an event, you know this is a savings of another couple thousand dollars. Stefanie was great at helping us decide on a layout for our event. She made suggestions and allowed us to visit on several occasions. She was especially helpful in contacting our vendors to confirm details. On the night of the event, Stefanie even lent a hand in putting a nice cheese tray together while I was busy. She found a perfect balance in being friendly with our guests and not being distracting. Parking isn't perfect at MonOrchid, but there is plenty on 2nd & Roosevelt. 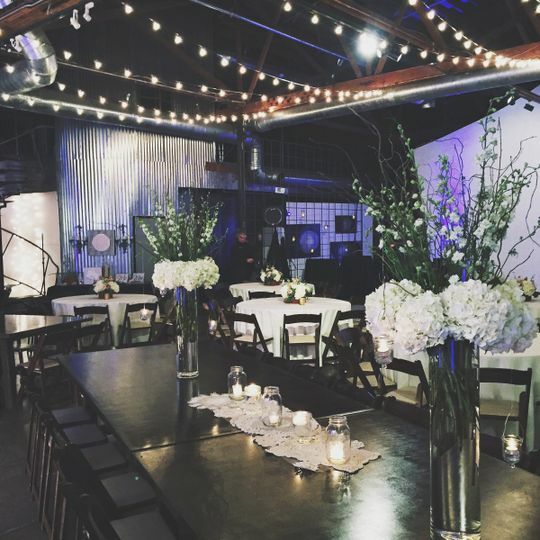 This is a great, unique space that could be used for any kind of event. We've loved this venue for a few years, largely because we spent our early dating days hanging out in the coffee shop connected to it, so it was the perfect place for our wedding in Sept 2018. The staff you work with are part of Conceptually Social and they do the catering too. Though they have had some staff change over during the last couple of years, they are still easy to work with and the service is top-notch. 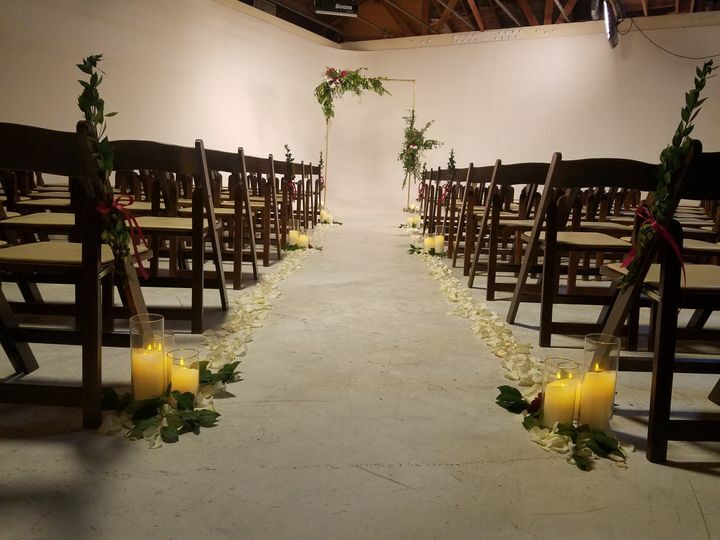 The space is really unique and if you're looking for something different than most of the other wedding spots around town, consider the monOrchid! 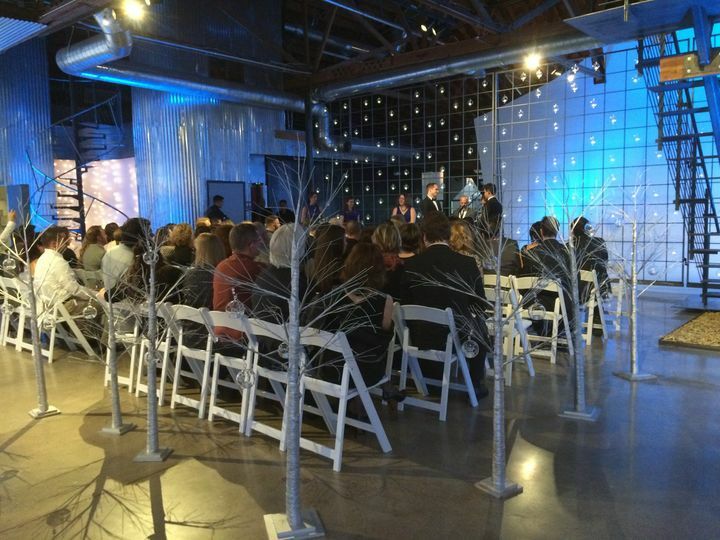 The venue is beautiful and is an alternative to a basic wedding venue. The wedding Coordinator, Krissy,is so helpful and friendly. The food is AMAZING and a great value. I heard great things from all our guests. They are really a hands on team that help you on your actual day and are just a phone call away. 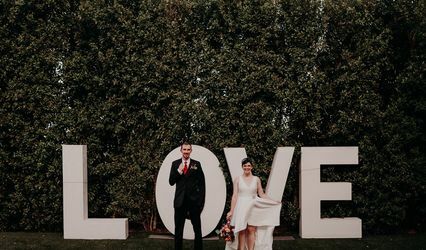 This is a great place for brides that are planning their own wedding because they are flexible and love alternative/ different styles! My wedding day was perfect. Thank you MonOrchid!